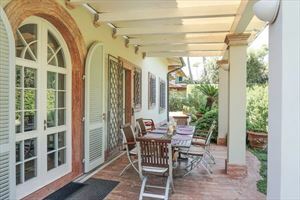 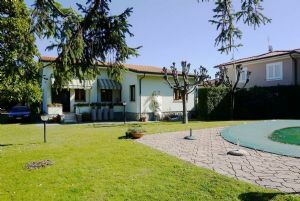 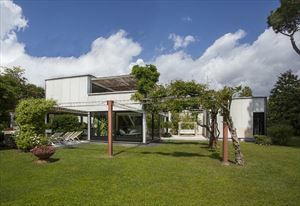 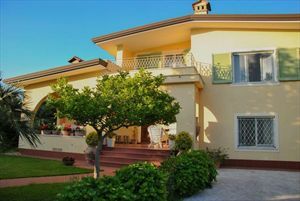 Charming large single villa for rent with garden (800 mts) located in the centre of Forte dei Marmi and in the same time nearest to the beach(around 800 mts). 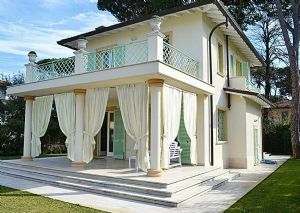 Real estate has got an alarm systen,air conditioning system internet link. 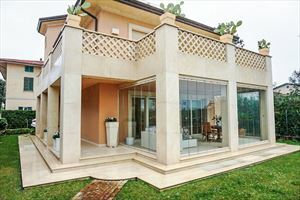 Property is developped on three levels, one of which is the low ground that appears with an amusing patio as lunch room, with table, airmchairs, sofa in according with the external white curtains. 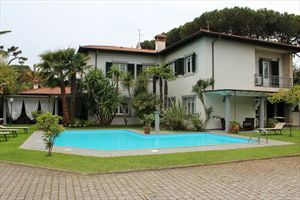 It continues with a sitting room with fireplace, dining room,kitchen,laudry, 2 double rooms,2 bathrooms with shower.